The La Quinta Inn & Suites Meridian / Boise West has been awarded the 2018 TripAdvisor Certificate of Excellence award, and has earned this award consistently over the last 5 years. 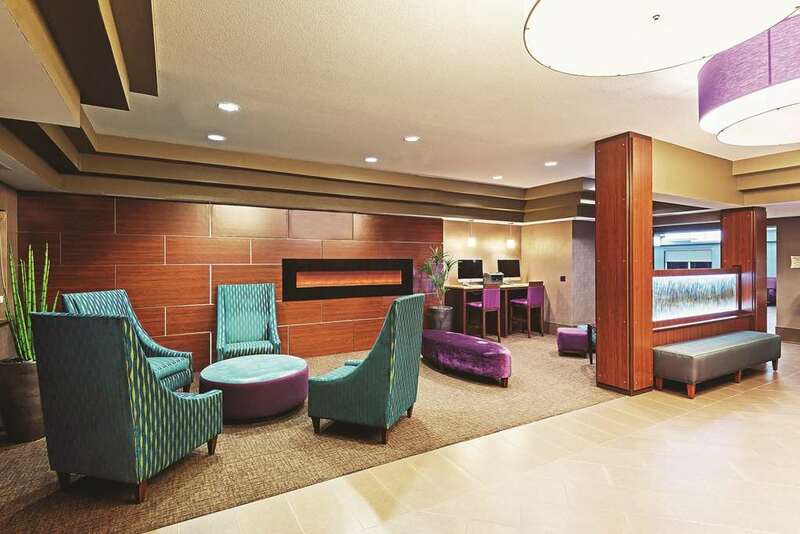 The La Quinta Inn & Suites Meridian / Boise West Meridian Idaho hotel is your first choice when looking for business or leisure accommodations while visiting Boise and surrounding areas. We're centrally located within the Treasure Valley, making it easy to get anywhere you want to go! Our spacious guest rooms will treat you to many of the comforts of home, with either a king size or two queen size pillow top beds, refrigerator, microwave, 42" flat screen TV with premium channels, coffee maker, hairdryer, iron and board, free high-speed wireless and hard wired internet. As our guest, you will also have access to our 24-hour pool and spa, fitness center, and business center. We're the perfect choice whether you're catching a concert at the Taco Bell Arena, a rodeo at the Ford Idaho Center, plan on watching the Idaho Steelheads at Century Link Arena or are coming to cheer on the Boise State University Broncos! For avid shoppers, The Village at Meridian is less than 2 miles away, and the largest indoor mall in Idaho, the Boise Towne Square Mall, is less than 5 miles away. Roaring Springs Water Park, Meridian Speedway, Wahooz Family Fun Zone, Zoo Boise, and many other local attractions are just a few minutes drive, and are perfect for having fun with the entire family!